Following the arson in Givat Sorek, Israeli politicians wonder why left wing is silent. Israeli Prime Minister Binyamin Netanyahu issued a statement on his facebook page responding to the arson which burnt down a synagogue in the town of Givat Sorek outside of Karmei Tzur. 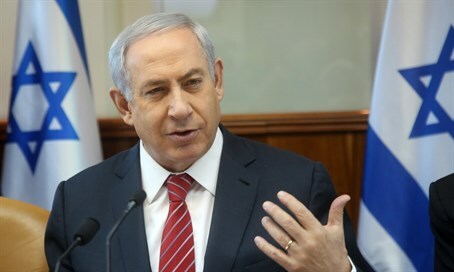 Netanyahu said "Last night a synagogue in Givat Sorek, in Gush Etzion, was set on fire by Palestinians. We will prosecute the perpetrators of this crime. I expect the international community to condemn the desecration of a synagogue, an act that is the result of incessant Palestinian incitement." The Minister of the Interior Aryeh Deri also responded to the arson noting that every Jew should be moved by the images of what occurred. "These tough pictures of Jewish books burned send shock waves and wrath through every Jew," said Deri. "We need to do everything we can so that pictures like these, that remind us of darker times, will never be seen again. I am faithful that the security forces will arrest the perpetrators and that they will be brought to justice." Deputy Foreign Minister Tzipi Hotovely said that this issue shows that Palestinians wish to harm Jews all over the country. "We cannot make peace with disgusting images such as these. The terrorists who carried out this attack wish to attack us as Jews. It does not matter to them where in Israel we live." The Head of the Jewish Home faction MK Shui Mualem said that this is not an isolated incident. "The burning of a synagogue with Jewish books and Torah scrolls inside is not unusual in villages that lie close to Arab towns. It happens across the entire country. The choir who preaches about each and every piece of graffiti that is anti Arab is again silent here. If a mosque were burnt they would not be so quiet." Eli Yishai, the leader of the political faction Yahad attacked left-wing organizations for remaining silent following the attack. "Had an art museum been desecrated in Tel Aviv, or anti-Arab graffiti painted on a wall, we would have heard outcries from Israel's political left. They would have gone crazy and protested. But when holy prayer books are desecrated there is silence." Yishai continued to attack left wing human rights organizations, "Where are all the organizations who cry out against anti-Arab graffiti? When synagogues are burned the left is silent."